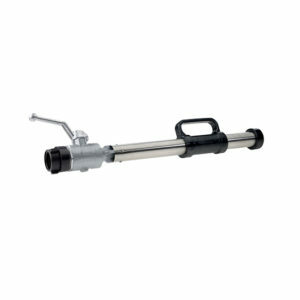 Selectable Heavy/Medium Foam Nozzle - SOS Safety International Inc.
Air aspirating stainless steel foam nozzle with an expansion rate of 15:1 on low setting and 60:1 on medium setting. It can be adjusted via a select lever, providing added flexibility depending on the hazard. Includes carrying handle and shut off. Flows of 60 and 125 GPM at 100 PSI. AWG offers adjustable foam nozzles to enable rapid switching between medium and heavy foam for targeted application during operation. 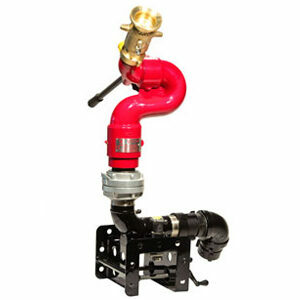 These units consist of a jet head with a switching element and two concentric pipes. The inner pipe generated heavy foam while the outer pipe produces medium foam. 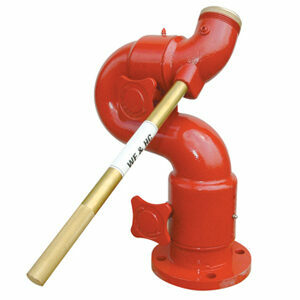 The switching element directs the pre-mixed extinguishing fluid to either the inner or outer pipe. Swirl jets and conversion screens are fitted in accordance with the designs of our heavy and medium foam nozzles. 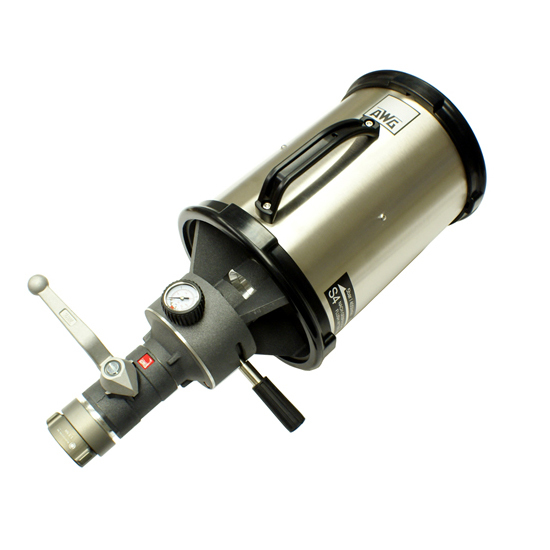 Switching element and ball valve made from aluminum alloy. Conversion screen and pipe made from stainless steel. Protection ring made from rubber and handle made from plastic.